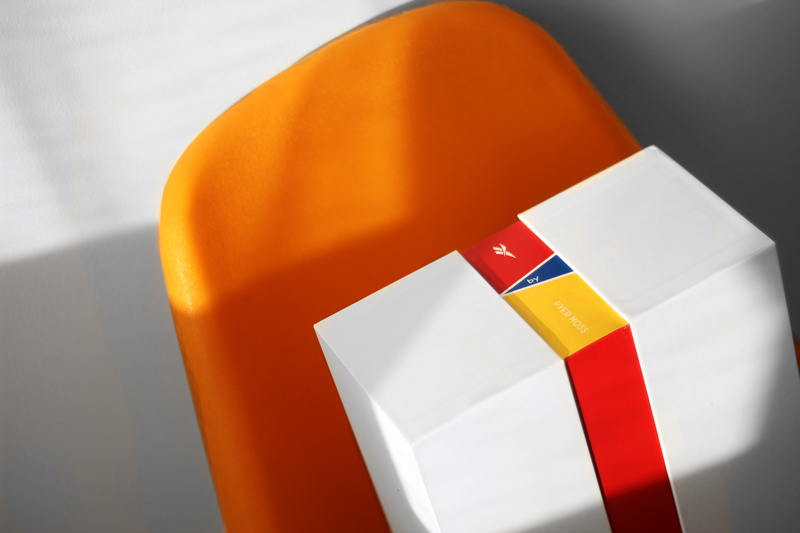 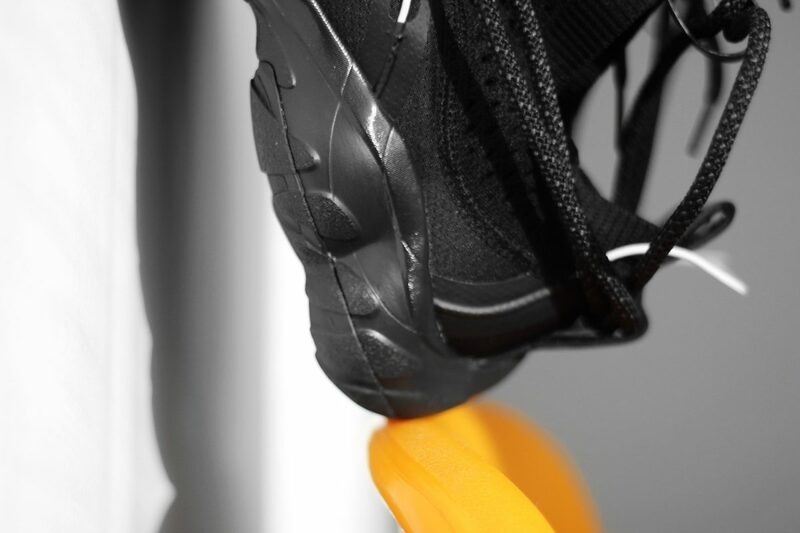 When it was announced last year that a collaboration between Pyer Moss and Reebok was in the works, we couldn’t wait to see what designer Kerby Jean-Raymond and his cult namesake label will drop. 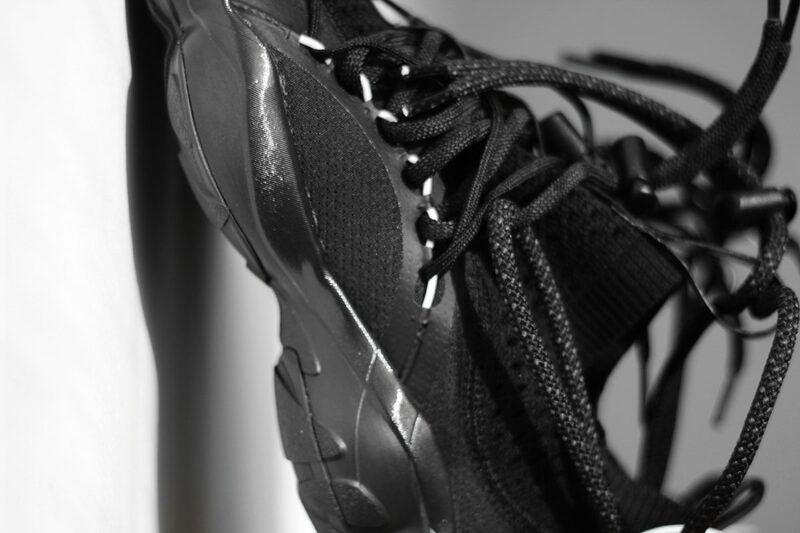 Back in February 2018, his debut collection with the global athletic lifestyle brand did not disappoint. 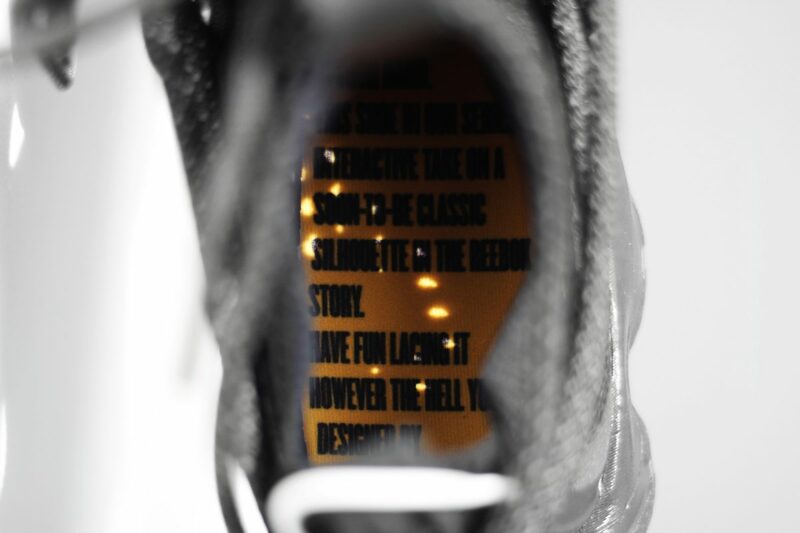 One of his first pieces from this exciting collaboration is the DMX Fusion Experiment silhouette built atop the DMX Run 10 — a 1997 running shoe that introduced Reebok’s new cushioning system that utilizes chambers of air that connect throughout the sole. 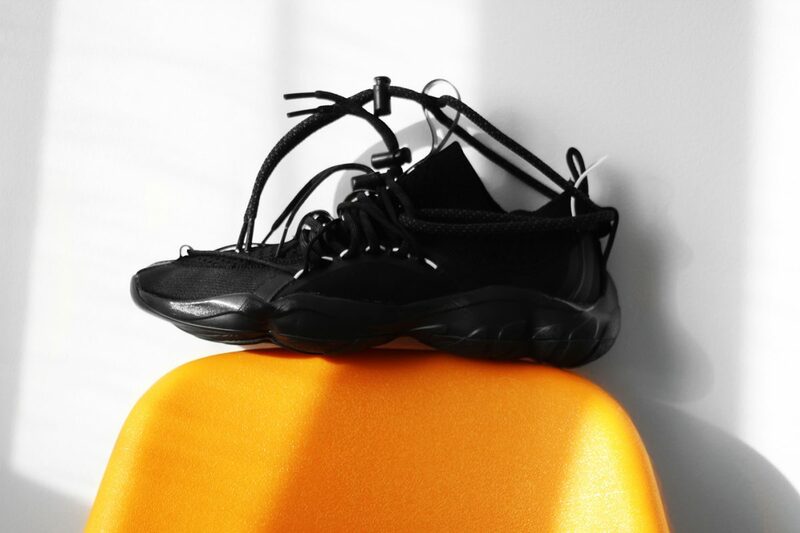 Designed by Kerby Jean-Raymond and Alejandra Bucco, this avant-garde sneaker appeared last year just in time to join the chunky-sneaker trend — going unnoticed in the sneaker world. 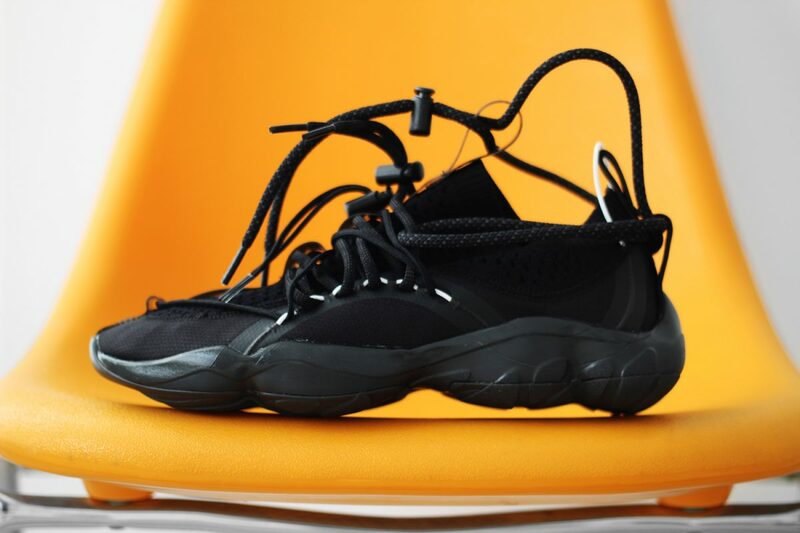 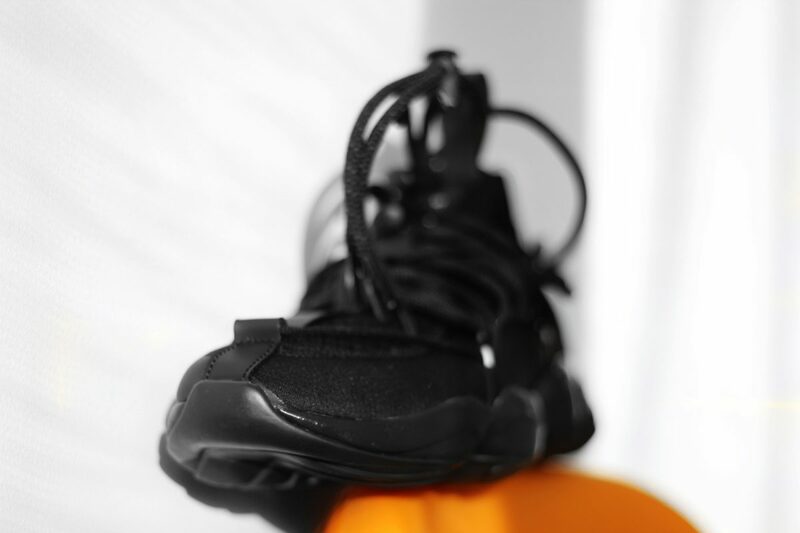 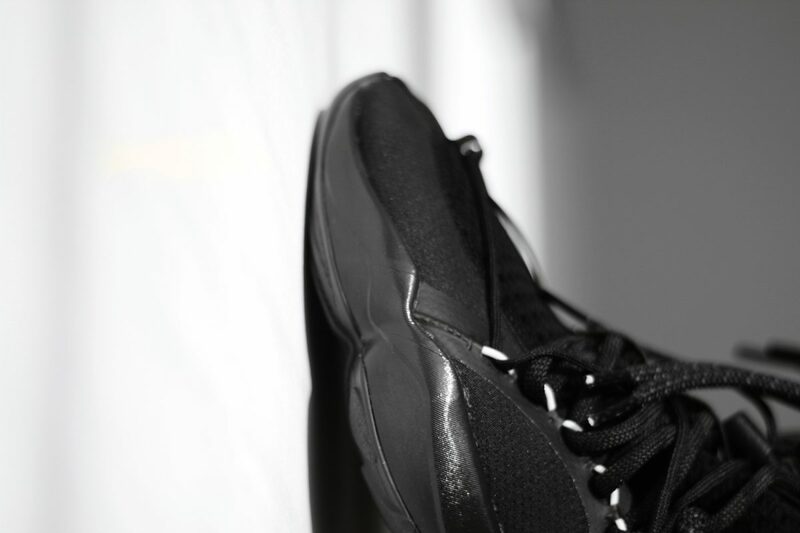 The Reebok by Pyer Moss DMX Fusion 1 “Experiment” in triple black color scheme features a sleek yet chunky midsole and a lightweight upper accented with perforations for breathability. 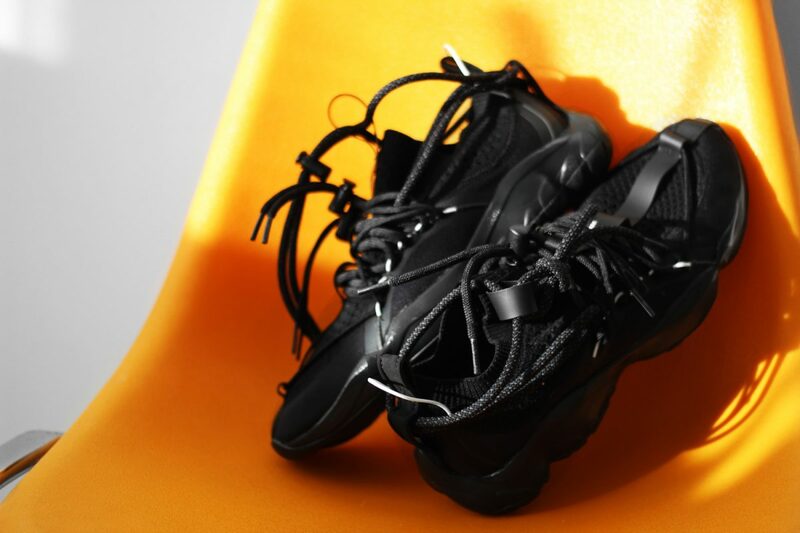 Thick interlocking laces are wrapped around the front and rear of the sneaker, with adjustable lace locks offering a more secure fit. 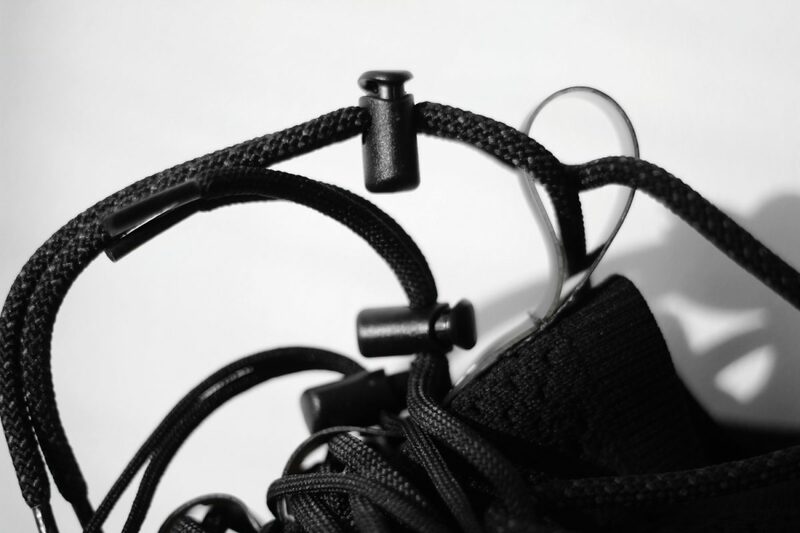 The various laces and lace locks that link together can be switched up for seemingly limitless possibilities of customization by the wearer. 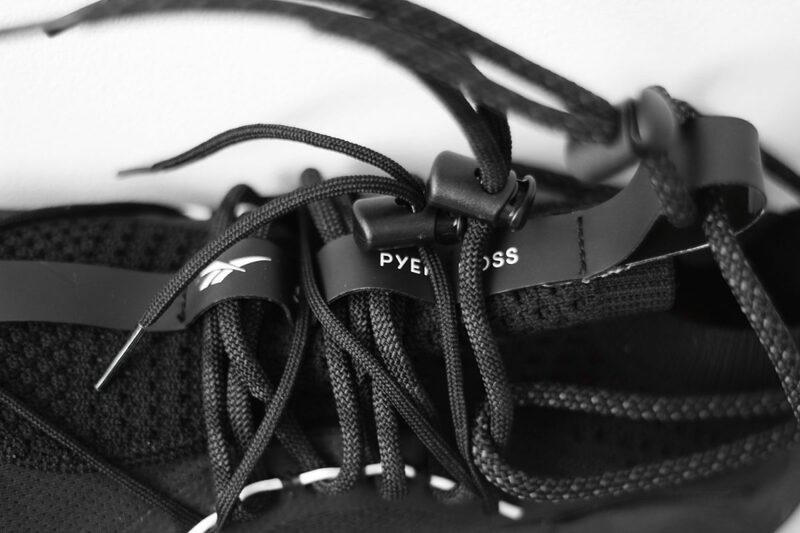 Co-branded tape, detailing a Reebok vector by Pyer Moss graphic, is stitched up the front and heel of the shoe, creating a lightweight yet secure strap for the laces. 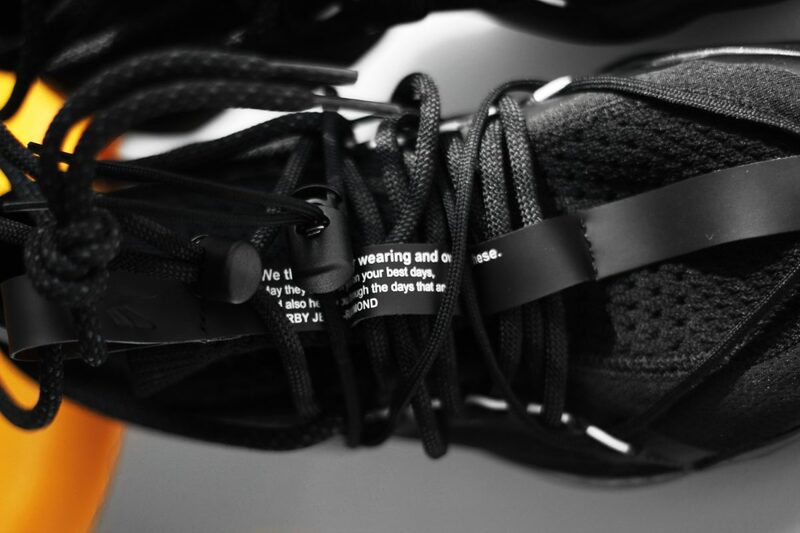 Meanwhile, pull tabs and elasticated ankle openings make it easy to pull the shoe on or off. 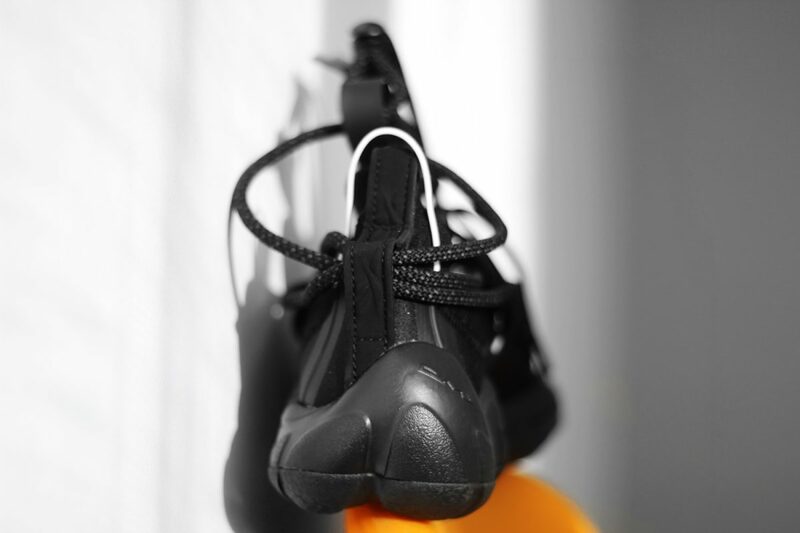 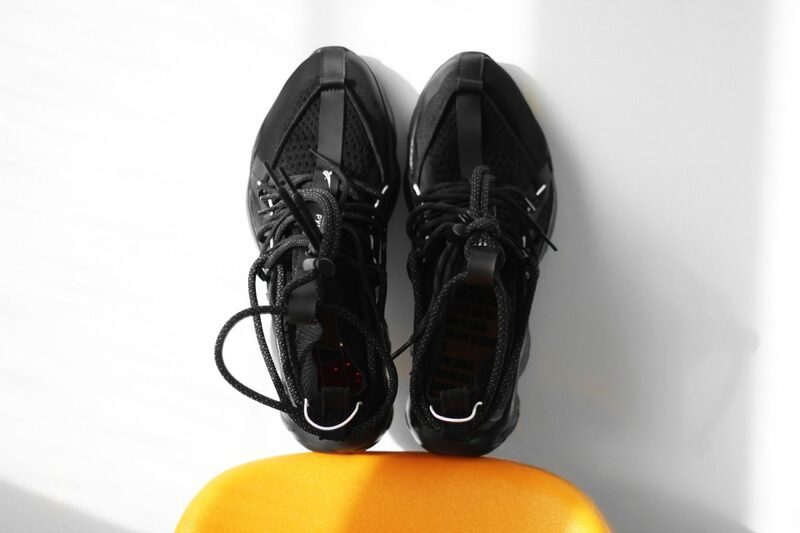 To wrap things up, we love how this silhouette manages to stand out with its eye-catching lacing system! 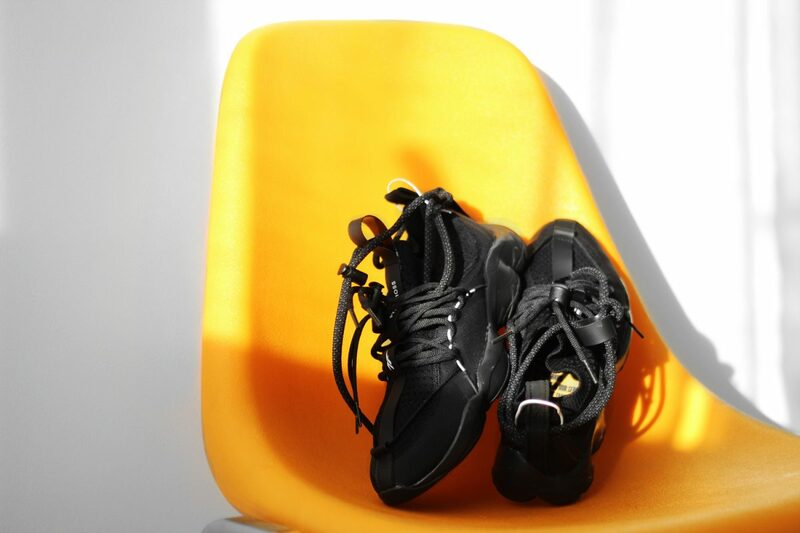 And, if you’re still looking for a pair, you can find it at FOOTSHOP.